SKU: FWT007. Categories: Floristry Wires & Tapes, Pins. 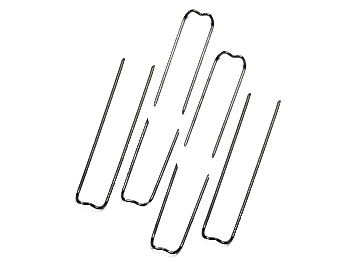 Tag: mossing pins. Parafilm – Professional florist stem wrap. 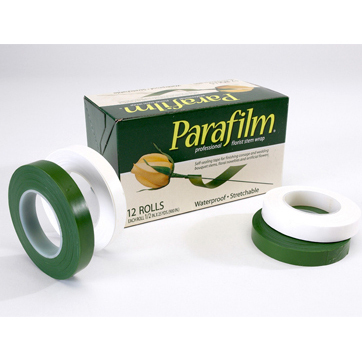 Thin green plastic stem binding tape. • 22.86 metres by 12mm. • Use for binding wired flower stems, corsage and bouquet stems. • Gives a more natural look to wired stems. 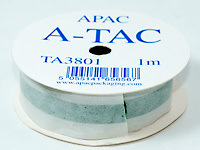 Thin paper stem binding tape. 27.43 metres long by 12mm wide. • Use on flower stems, corsages, bouquets and arrangements. • Self sealing with great adhesion (even when wet). • Available in olive, or moss green. 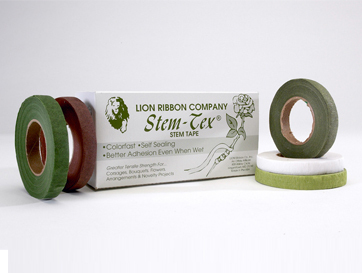 Waterproof green adhesive clay roll. 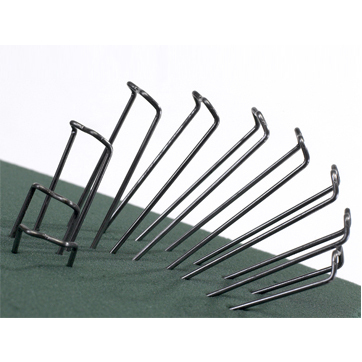 Small Mossing pins available from The Essentials Company the specialist suppliers of labelling, tagging, tying, marking, and floristry sundries for business, home and garden applications.